Mercedes-AMG E 63 Running Costs, MPG, Economy, Reliability, Safety | What Car? It falls not to us to say whether the world needs a 603bhp saloon car, or whether buying one in general is a sensible thing to do. 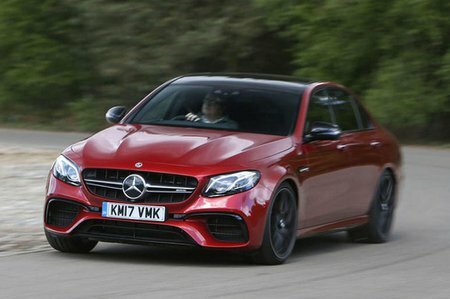 It comes as little surprise that the E63 S is anything but a cheap car – its price tag eclipses that of the equivalent M5 and Audi RS6 although it beats off its Porsche rivals by coming in at under £100,000. Running costs will also be steep, as they will be for its rivals. Thanks to cylinder shutdown and other clever tech, Mercedes has managed to deliver a claimed 23.7mpg (WLTP combined) figure, but you can forget getting anywhere near that if you make liberal use of those turbochargers. You’ll also need deep pockets to run one as a company car – that lofty list price and CO2 emissions of 245g/km mean a hefty Benefit-in-Kind bill. At least you get plenty of toys for your money. From cosmetic addenda like 19in alloy wheels, unique AMG bumpers and side skirts, to more functional treats like a limited slip differential, electrically adjustable, heated sports front seats combined with an electrically adjustable steering wheel, all with memory function and swaddled with Nappa leather. Then there’s the 12.3in infotainment screen including sat-nav, a further 12.3in screen housing those digital instruments, a rear-view camera, front and rear parking sensors and LED headlights. Euro NCAP awarded the E-Class its top five-star crash-test rating, with a particularly high score for adult occupancy protection. And it should prevent you having a crash thanks to standard active safety kit such as automatic emergency city braking. 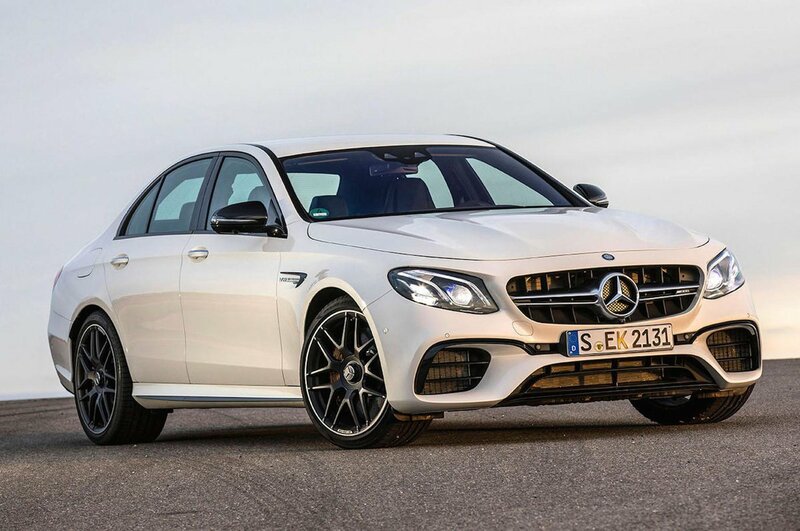 You may not need as much power in an executive saloon as the Mercedes-AMG E63 S has, but you’ll have tremendous fun finding that out. It can easily take on the Porsche Panamera Turbo or BMW M5, all with the premium Mercedes German luxury we all know and love.